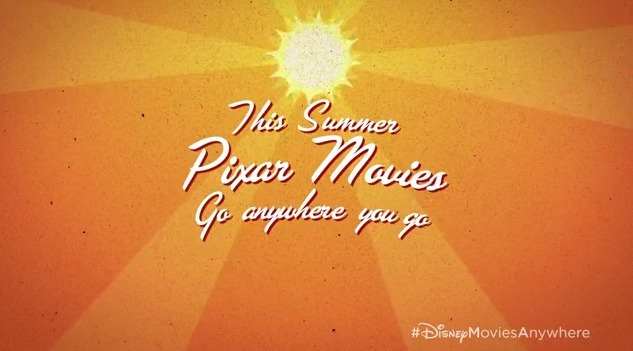 Pixar Summer Movies To Go! Perfect for vacations and summer travel; download the free Disney Movies Anywhere app on your iPhone or iPad and gear up for Pixar Summer Movies To Go to get summer started right. And for a limited time, when you download Disney Movies Anywhere and link your iTunes account, you’ll get The Incredibles for free. Find out more about buying, watching, and collecting your favorite Disney, Pixar and Marvel movies anywhere and download the App at http://di.sn/sX8.